For over 60 years Tupperware has been designing products that help simplify people’s lives. Saving time and money for the consumer by helping to keep food fresh has always been one of Tupperware’s most important goals. Today Tupperware offers products for storing food, food preparation, serving items and cookware. Our innovative products, built to last a lifetime, eliminate the need for disposable containers. Tupperware has always been committed to a continuous review of new materials to improve the performance of our products and meet consumer demand. We’re firmly committed to the safety and well-being of our consultants and upperware follows the recommendations and guidelines of governmental regulatory agencies regarding materials that may be used in our high quality products. The Company also acknowledges the attitudes of consumers regarding products containing BPA. 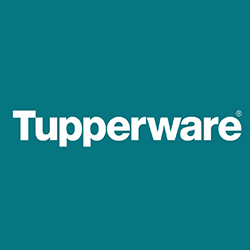 In its continuous search for the best materials for use in its products, Tupperware has found other materials with improved performance characteristics that have been approved by regulators to be BPA free to replace polycarbonate. consumers of our products.